Today, Jennifer Gooch Hummer and Month9Books are revealing the cover and first two chapters for OPERATION TENLEY, book 1 in the Fair City Files Series, which releases September 13, 2016! 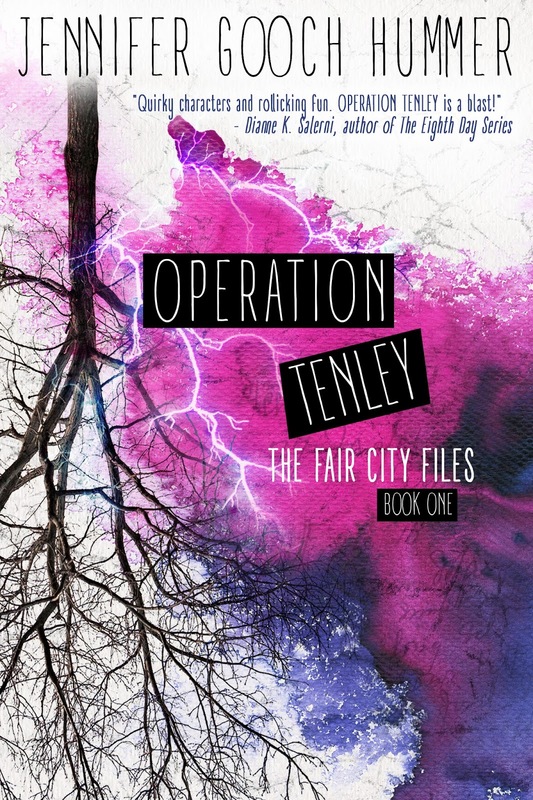 Check out the gorgeous cover and enter to be one of the first readers to receive an eGalley of OPERATION TENLEY! Elementals make Mother Nature angry. And who can blame her? Humans have been destroying her planet long enough. It’s time she got rid of them all together. Tenley, and those like her, are the only things standing in her way -- and they don’t even know it. It’s a Fair One’s job to keep Elemental Teens safe. These ancestors of fairies have created a perfect plan to keep kids like Tenley out of harm’s way -- from afar. But when rookie Fair One, Pennie, allows her charge to use elemental powers once too often, she’s forced to travel to Earth -- a place where no Fair One wants to go -- to save her. Now, Pennie has forty-eight hours to convince Tenley to stop manipulating the weather. But it won’t be so easy. Tenley’s got a way with wind and has no plans to stop using it. For Tenley, things get real, fast. And suddenly, knowing she’s got a few Elemental powers up her sleeve might be just what Tenley needs to survive. Even if it kills her. 3 winners will receive an eGalley of OPERATION TENLEY, International. I really love this excerpt from the book. Very interesting story like definitely gonna have to read this book this summer.